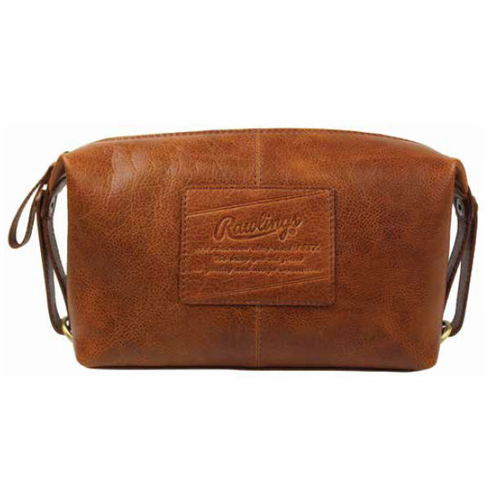 Vintage Leather Rugged Travel Kit by Rawlings. Vintage look � pre-washed with distressed character in rich warm leather - 3 color options. Combines classic good looks with durability and great organization functionality. Measures appx. 6" x 10" x 4.5". Top zipper opening for easy access. Heritage striped lining with Vintage Rawlings logo.